Manufacturing occupies a unique role in American society. It’s a proud point in the culture and a leading bipartisan priority for policymakers. According to recent studies, Americans want to see manufacturing jobs created in their communities more than jobs in any other sector. Still, according to the same studies, relatively few Americans personally want to work in manufacturing. Manufacturing recently ranked last as the sector in which Millennials want to start careers. This is a serious challenge: credible estimates find that approximately 2 million US manufacturing jobs may go unfilled in the coming years — in large part because potential workers lack interest or requisite skills. At a time when an estimated 5.5 million young people, ages 16 through 24, are neither in school nor a workplace, there’s a critical need for national focus on manufacturing careers. While the challenges of workforce training are daunting, there’s no shortage of solutions. The MForesight Education and Workforce Development Working Group (EWD) — comprising leading experts from the public-private workforce investment system, technical education systems, universities and community colleges, and other key institutions — recently completed a report outlining a wide range of successful educational initiatives, policy interventions, and pilot programs to strengthen manufacturing careers. 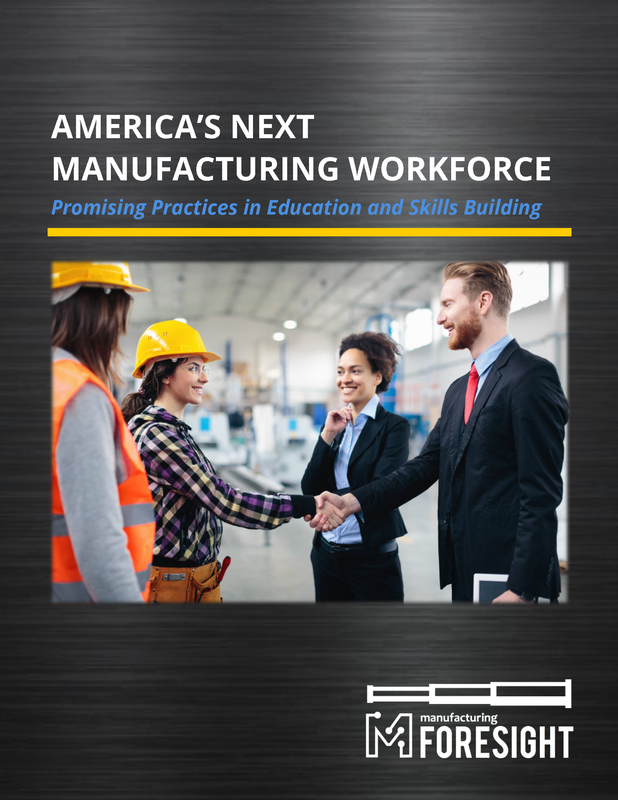 The report, America’s Next Manufacturing Workforce: Promising Practices for Education and Skills Building, is available now. The case studies range from general education programs — like the Science Olympiad and Learning Blade initiatives that build early interest and competency in underlying science and math fields — all the way to targeted initiatives to train people for specific jobs — like the Mercedes-Benz Automotive Systems Program and Central Piedmont Community College’s customized training program for Siemens energy-related manufacturing. Across the categories, many of the most successful initiatives go beyond the obvious skill-building needs to help build deep interest in manufacturing careers. In many parts of the country, there’s still a unwarranted stigma around working on a shop floor. Schools, TV shows, and other cultural factors reinforce the mistaken notion that respectable careers have to be based in office buildings rather than factories. Effective workforce training programs counter these preconceptions by demonstrating the valuable possibilities in manufacturing careers. Many of the initiatives also go beyond the basics of technical skill-building by emphasizing the broader factors behind professional success. As Richard K. Miller of Olin College puts it, effective workforce training can require the cultivation of: “ethical behavior, trustworthiness, employability, effective communication, collaboration, leadership, resourcefulness, independence, entrepreneurial and business acumen, empathy and social responsibility, and global awareness and perspective.” This is a broad range of qualities — many of which are difficult to teach. Taken together, however, the initiatives described in the report provide a menu of options for getting started. The report emphasizes initiatives that are not only effective but also replicable and scalable. While elements of some programs may be specific to a given geographic context or a particular company’s needs, each program offers lessons and practices that can inform the work of educators and employers broadly. 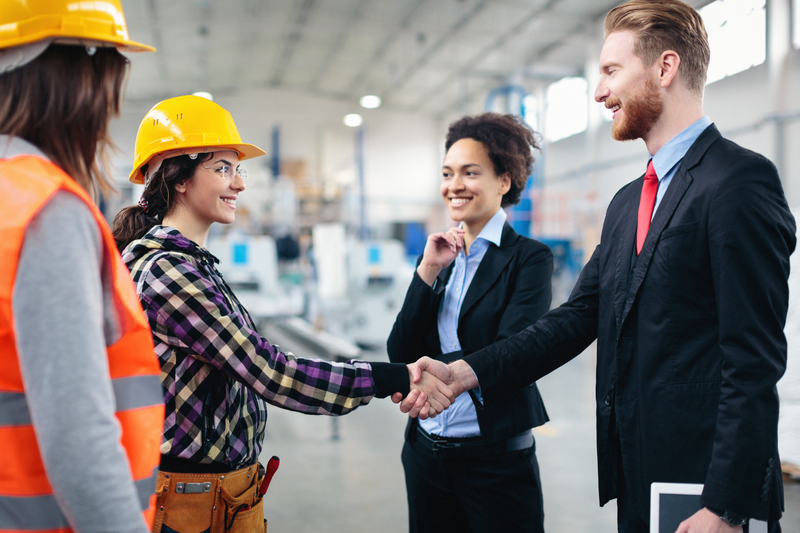 Educational institutions and manufacturing firms face a serious challenge when it comes to preparing the future workforce — yet they also have an extraordinary opportunity: to learn from an extraordinarily diverse range of successful education and training initiatives.